The 2016 CBS Sports Classic took place in Las Vegas at T-Mobile Arena on December 17 and featured Ohio State vs. UCLA followed by Kentucky vs. North Carolina. In the game presentation industry, a typical step to begin building a show is to first gather the "must do" elements. A review of sponsor fulfillment elements, brand messaging and performances to ensure all of the obligations are slotted into the run-of-show. Then, you take the remainder of the opening and find spots to enhance the overall entertainment value. That's a typical approach...but recently, we had an opportunity to put our creative stamp on a show with the sole focus of improving the in-venue fan experience for spectators attending the game. The CBS Sports Classic was being held in Las Vegas a few weeks ago, the third annual college basketball event featuring four of the Goliaths in the sport - Kentucky, North Carolina, Ohio State and UCLA. 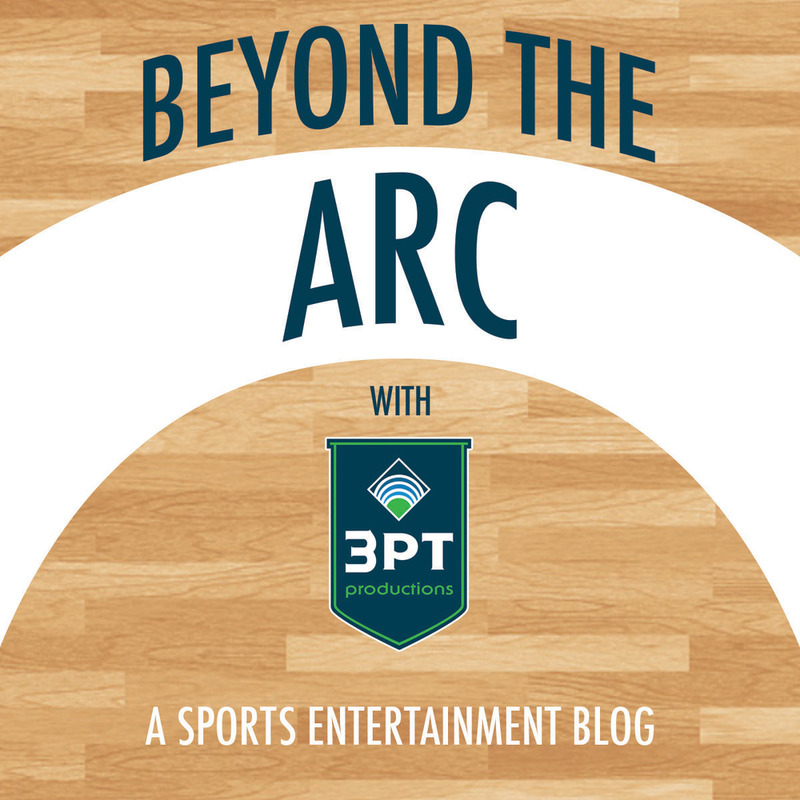 The promoter, KemperLesnik (who also put on the well renowned Maui Invitational), wanted to enhance the fan experience at T-Mobile Arena in Las Vegas and brought on 3 Point to produce their show. Emcee, Scott Fresh, brought energy, excitement and an ugly Christmas sweater to the 2016 CBS Sports Classic. They gave us the green light to plan an entertaining doubleheader that focused on the four fan bases, along with holiday themes sprinkled throughout the game to celebrate the festive time of year. The expectation was also set that they wanted to enhance it on a limited budget, so we need to get creative. We went to work on designing elements that could be executed with high entertainment value and a price friendly approach. We added an In-Arena Host into the mix, a familiar face in Scott Fresh out of Sacramento, for an ability to bring the arena to life. KemperLesnik also helped us get resourceful for the halftime performances, tapping into the Vegas show scene for groups looking for exposure. This resulted in one of the best halftime performances I've ever seen with "Skates of Hell" from the Absinthe show down the street at Caesars Palace. The Mistletoe Cam is a great holiday twist on a traditional Kiss Cam. We featured it once during each game to highly spirited crowds. 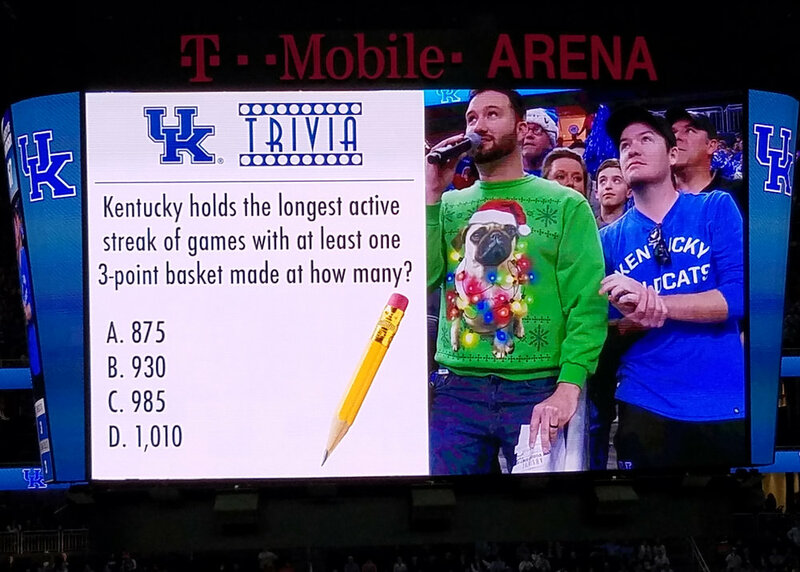 The timeouts were packed with energy, with a series of trivia contests and fan cams that played to each of the four fan bases. We also infused competition into the show with the "Rivalry Seat Upgrade", where we upgraded a pair of fans from each team to courtside seats... but the catch was they had to sit next to each other the rest of the game. Holiday themed elements included the Mistletoe Cam, Holiday Dance Off and holiday rendition of Name That Tune. We knew we were working with a small crew, so we designed the flow of the game to work well with selection of contestants and transitions, setting ourselves up for success throughout the day. Entertainment also included Team Trivia and Fan Cams themed to each university. As we continue to produce a series of events for our growing base of clients, it feels good to know we can create an entertaining run-of-show regardless of the scale of technology, crew size, sponsors fulfillment or entertainment assets. One of the things I enjoy most about our line of work is the variety that happens from event to event, along with the confidence to know we're going to deliver a great experience for our clients and the fans...because after all, experience is everything. A sports entertainment blog with contributions from Patrick Walker, Matt Heuer, Derrick Gomez & Justin Sullivan. We use the power of live events to bring brands to life and create memories for fans. Within the sports industry, our experience and standards are unmatched and our creative passion is unrivaled. We drive the evolution of fan experience one gameday at a time.